Oceans Reefs and Aquariums is known mostly for their aquacultured fish and frags, but they’ve also got some awesome Tridacnid clams, and they’re reminding us all of this fact in a huge way. Announced yesterday on the their Facebook page, ORA has just made their highly prized ORA Turquoise Squamosa clams available to stores nationwide. 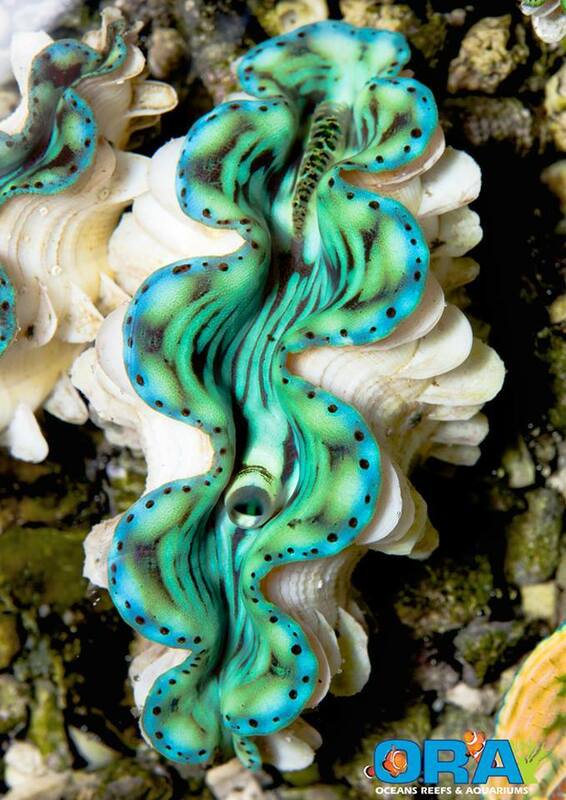 These clams are breathtaking, sporting the typical “squammie” patterns but draped in a vibrant turquoise color with a bright blue rim around the mantle. There’s only one catch though. The clams will be extremely limited in a one-time special offer, and so rare in fact that there are only four individuals available. This extremely limited availability will definitely lead to a super high price tag, which will most likely come from the vendors selling the clams and not so much ORA themselves. We’ve heard rumors of $300 price tags, but who knows if that is anywhere close to being an accurate number. Regardless, these are amazing clams.